In years gone by, the building was a former police station and prison, to this day, in the beer cellar what were previously the cells, can be made out. 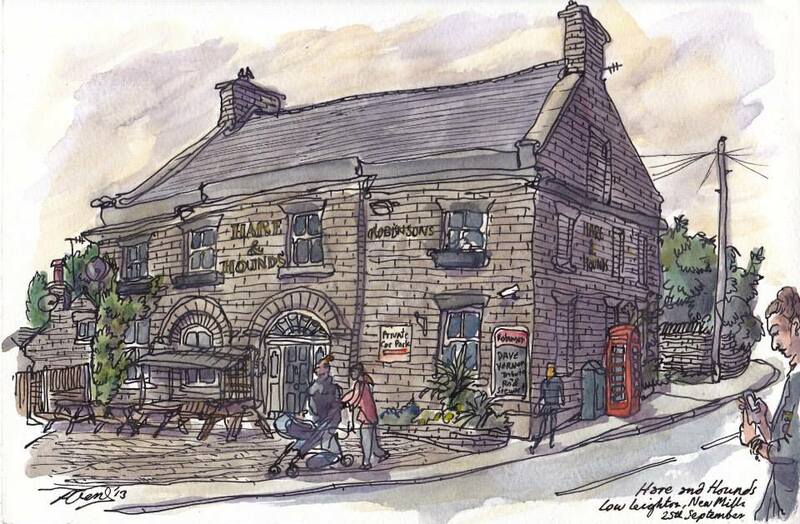 The Hare and Hounds is very much an entertainment venue with regular live bands and karaoke but close enough to the great local walks along the Sett Valley Trail and up to Big Stone and is also host to the annual ‘Hairy Dog Six’ fell race. The pubs landlord ‘James ‘the King’ Ruffell’, himself an excellent Elvis impersonator, has dedicated one of the pubs rooms to Elvis and Rock n Roll is a must to see by anyone visiting the pub for the first time. A good selection of Robinsons beers are available together with a choice of lagers. Pool and other pub games are available and a smoking shelter is provided in the car park.